There’s no one answer for what makes a good credit score. What’s more important is what you can do with different scores. See, your credit is a lot more important than you may understand. Even if you don’t plan on using debt, your credit score can mean higher car insurance premiums and having to pay a higher security deposit when you rent. I researched five different credit scores, what you can and what you can’t do with each score. Knowing what makes for a good credit score and what yours will allow you to do is easier if you remember what goes into your credit score. The Fair Isaac Corporation (FICO) is the company that establishes the standard for credit scores. It calculates a score between 300 and 850 depending on your credit report which is just a history of all your credit. Payment history is the biggest factor, influencing about a third of your score. Amount owed is also a big factor in your credit score and includes how much you owe on each account and how much in total credit you’ve borrowed. Credit history is mostly how long you’ve been using credit so not much you can do here. Types of loans looks at different loans like mortgages, student loans, even installment loans, auto and credit cards. The difference between revolving loans with no payoff date or fixed payments and non-revolving loans is important. 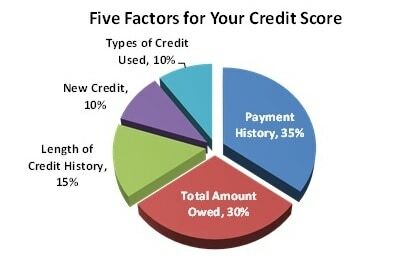 New credit is a small part of your score but can be a deciding factor. While the FICO credit score range goes as low as 300, I’ve never met anyone with a score below 400 FICO. You’ve got to be hammering your credit with a lot of missed payments and bankruptcy to get below 500. I’ve also never met anyone with a score over 815 FICO. Building a good credit score is more than just avoiding missed payments. Once you get above 720 FICO, you really have to start fine-tuning your credit report to see a higher score. Because credit scores differ by hundreds of points, it’s impossible to talk about one FICO score as being ‘good’ or the best. It’s much better to look at individual levels, what you can expect for rates with each score and where to go from there. Let’s look at five credit scores and what they mean for you. Just four-in-ten Americans have a credit score above 720 FICO so you’re doing well if you can build to this point. You’ll start getting the advertised rates on mortgages and car loans if other factors in your credit report are not limiting your score. One of the biggest things to watch, even with a 720 credit score or higher, is your debt-to-income ratio. This is your monthly debt payment versus your total income and anything over 30% will start to limit your ability to get a loan at good rates. It takes years to build to a 720 credit score and you can’t afford to make any mistakes. 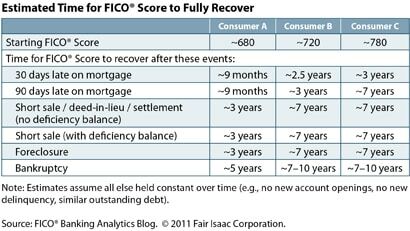 FICO studies changes in credit scores after missed payments and other bad marks. 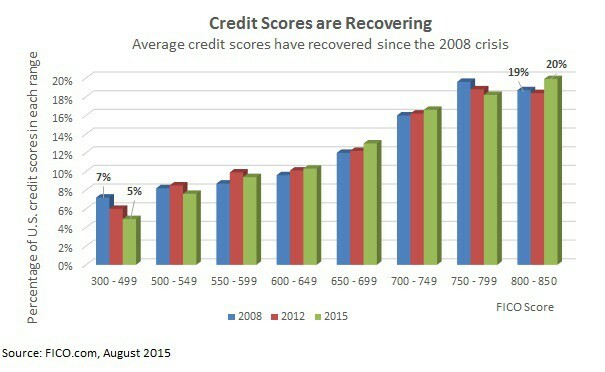 It turns out that people with higher scores see a bigger drop after something negative goes on their credit report. Borrowers with a 780 credit score saw their FICO drop below 560 after a bankruptcy. A 220-point drop and more than the 130-point drop for people with a 680 FICO before a bankruptcy. Nearly half of all borrowers have a 680 credit score or higher but these are a very valuable few for lenders. Since most banks and traditional lenders are prohibited from lending to sub-prime borrowers, they’ll do all they can to get your business if you have a 680 FICO or higher. Mortgage rates won’t quite be as good as those advertised but will still be doable. Rates on personal loans will start getting more affordable around 11% to 15% on peer lending sites. This may still seem high but it’s a lot lower than most credit card rates, making a 680 credit score a good time to consolidate your debt and pay off higher-rate loans. You still need to protect your score at this point. FICO reports that it takes borrowers an average of three years to build back to a 680 credit score after a foreclosure and nine months just to recover from being 30-days late on a mortgage. A 650 credit score is the cutoff for what’s called ‘prime lending’ and it’s something to feel good about. Building your score above 650 will get you access to bank lending and other traditional loans. That usually means lower rates and less hassle from loan officers. A credit score of 650 FICO still isn’t perfect though an is usually due to high debt-to-income, several cards with a high credit utilization ratio but nothing really bad. Someone with a 720 credit score will fall to 650 after one missed mortgage payment. Mortgage rates can still be manageable around 6% with a good down-payment but other loans may require collateral. This is where most younger borrowers are even if they have never hurt their credit with a negative remark. The average credit score for Americans 30 to 39 years old is around 650 FICO, mostly because they just don’t have much of a credit history. 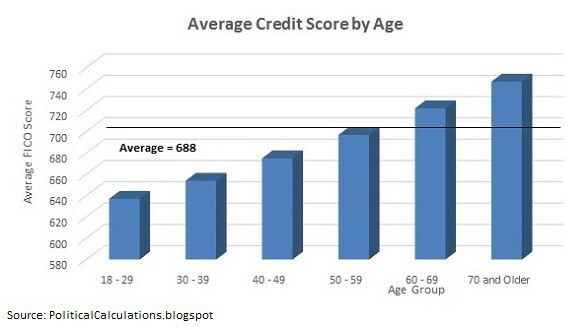 If you’re coming up from the bottom then a 580 credit score is a good start. If your credit score is falling though, you really need to figure out why because you’ll start seeing the rate on loans jump. Don’t be too hard on yourself though because one-in-five Americans have a score of 580 FICO or lower. A short-sale or foreclosure will usually put you here if you had around a 720 credit score to begin. A credit score of 580 and lower is where you are really going to start having trouble. Since you likely won’t be able to get a mortgage, you’ll be stuck renting. Landlords can ask for your social security number and check your credit. A score of 580 FICO may mean they refuse to rent to you or require a higher security deposit. This is also the point where you’ll start paying higher rates on car insurance. Most people don’t realize it but insurers check your credit and are legally-allowed to charge more to bad credit drivers, a practice called credit-based insurance scoring. Most banks won’t be able to lend to you and you need to start watching the lenders that make credit offers because here is where the predators come out. They know that borrowers with a 580 credit score or lower have fewer choices and they’ll be waiting to take advantage of you. One of the few loan sites still available to bad credit borrowers that I recommend is PersonalLoans.com, a loan aggregator website. The network of lenders offers personal loans, peer loans and traditional bank loans. I’ve used the site for two loans in the past and like the transparent rates and no origination fee. While it’s easier (and more positive) to talk about what you can do with higher credit scores, having a 520 credit score or lower is really about what you can’t do. If your credit score is this low, it’s usually after a bankruptcy and there isn’t much you can do about it except slowly rebuild your credit. Very few peer-to-peer loan sites will still be available to this level borrower and rates will almost always be 30% or higher. While your options are severely limited with a 520 FICO, avoid payday loans and cash advances at all costs. The fees charged on these loans are a one-way ticket to a debt trap of borrowing more every two weeks. It’s not going to be easy but the best thing to do at this point is go after your spending, so you don’t need credit. It will take up to ten years to fully get out from under a bankruptcy, but your credit score will start to increase within a few months. Within a month, you can be above 600 FICO again and getting better rates. Your first goal should be to get your credit score above the cutoff for prime lending. That means building to a 650 credit score which puts you ahead of about a third of Americans. I won’t call that a good credit score though because you’re still going to be paying higher rates on mortgages and other types of loans. The only difference is that with a 650 FICO or higher, you’ll start actually getting offers from banks for credit. I would consider anything from 670 to 740 FICO and higher to be a good score. That puts you right in the middle of where most borrowers are in the credit score range and well into prime lending. Getting above a 740 credit score is great, that’s where you want to be eventually. You’ll start getting the best rates and be ahead of four-in-ten borrowers. I hope this all shows why you need to check your credit score regularly and know your FICO. If you don’t plan on getting a loan, your credit score is still important in other parts of your life like car insurance and renting a home. Even people trying to be debt-free may need a loan to cover emergency expenses so make sure you know your credit score before you need a loan. You have a legal right to see your credit report from each of the three credit bureaus once a year. These are the companies that keep records of your credit history, payments, types of credit and everything else FICO uses to calculate your score. It’s important to check each of these three reports because lenders may not report everything to each company. That means one report may be different from another and your credit score will differ depending on which report it’s based. A lot of credit cards will offer to track your credit score and update it monthly. It’s a nice feature but not if you end up overspending on the card and paying high interest rates. The program also won’t show what’s on your credit report so it’s important to check your report regularly for fraud and other problems. I use the TransUnion credit monitor to track my credit score and what’s on my report. The service is just $1 for the first month and ranges from $10 monthly afterwards. You get email updates and alerts whenever something changes on your report and $1 million identity theft insurance with the program. 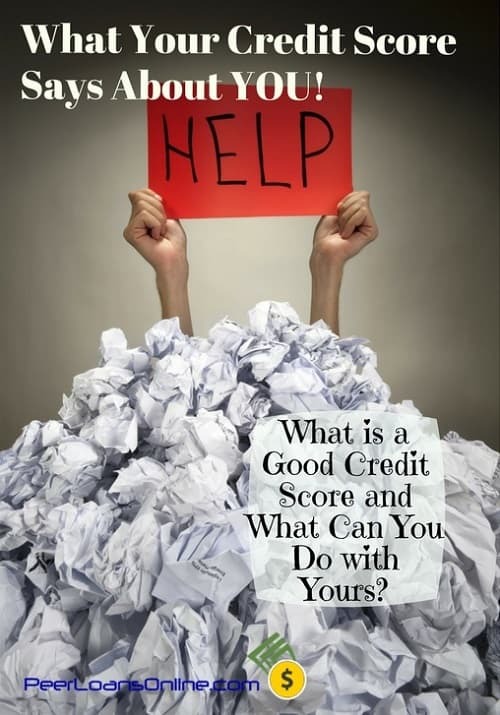 Instead of asking “What is a Good Credit Score,” the more important question is, “What can I do with my credit score?” Your FICO score will mean a lot when you go to apply for a loan, rent a house or buy car insurance. Building your credit score and protecting it will save you thousands in interest…and that’s always good.